The classic, iconic Slickster in a pinned side boonie hat. This two piece bead is hand soldered. 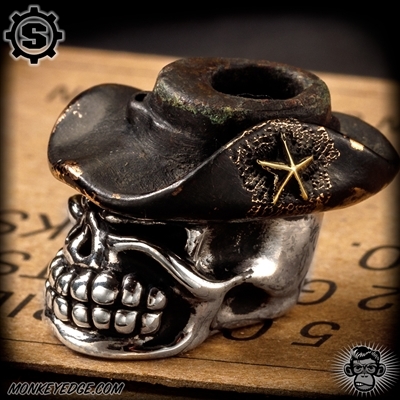 The Slickster skull is silver, while the boonie hat is copper with blackened patina finish. This variations has a brass star badge on the hat.